It is a non-operative procedure approved by FDA-USA which creates “lift” effect in skin through reaching deep layers of the skin using imaging property of ultrasound technology. It is also a technology which may be assumed as a “revolution” among anti-aging procedures done for cosmetic purposes. Its clinical effect has been proven. Ultherapy is a treatment modality based on inducing collagen production in 3 mm depth of the skin and 5 mm depth which cannot be reached by laser using focused sound waves. Ultherapy is an ultrasound device which is used together with imaging ultrasonography and which may influence connective tissue through focusing 5 mm depth without harming skin. It leads to thermal damage which causes contraction and tension in subcutaneous connective tissue through ultrasound power focused by displaying subcutaneus tissue. Skin laxity and sagging are treated with Ultherapy which is a non-operative skin firming method. Subcutaneous connective tissue gets strong following a session of 30-60 min. Ultherapy is a single session therapy. To whom Ultherapy is applied? All individuals with skin laxity and sagging are candidates for Ultherapy. Significant outcomes may be yielded particularly between ages 40-65 as skin gets loose. Which regions can Ultherapy be applied? Ultherapy is applied to cheeks for non-operative face lift, patients who have sagging in jaw line, to neck, to eyebrow-forehead region for eyebrow lift, to forehead for correction, to eyelids for reducing and correcting lid laxity, to decolettage for correcting wrinkles. How is Ultherapy Technique Applied? Skin and subctaneous tissues are displayed on the monitor using ultrasound probe. Afterwards thermal heat waves are applied to 4.5 and 3 mm depth of the skin. Skin surface is not affected from the application. Subcutaneous tissues are visualized on the monitor as seen in operation. Stimuli increases through the energy which reaches skin and novel collagen production develops. A non-operative face lift effect develops in time through creating a strong firming effect. How many sessions does Ultherapy takes? It requires only a single session. How long does Ultherapy technique takes? It takes about 30-60 min depending on the application site. It may take a couple of hours when applied to whole face. Patients describe the pain as “pinprick” although varies among individuals. This pain means that ultrasound energy reaches deep tissues and thereby Ultherapy creates lifting and firming effect. What is the difference between Ultherapy and the other non-operative face lift methods? Ultherapy is the only skin firming method which uses ultrasound technology. Effective and satisfactory outcomes may be achieved with a single application. Ultherapy is the only device which can correct deep tissues. It is of great importance to visualize subcutaneous tissue during the procedure as it enables to detect the carrier layer to which heat effect is wanted to be created on. No laser can enable this. The aim of the procedure is to firm the skin through inducing novel collagen production with the effect of the damage, to lessen the surgically removed layer non-operatively in the early period. Is Ultherapy a safe method? Ultrasund energy has been used for longer than 50 years in medicine and it has proven to have no side effects in clinical trials. 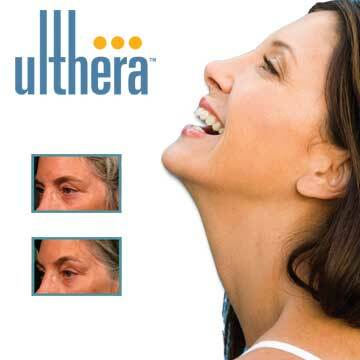 Ulthera is the only device approved by FDA. It would be beneficial to discuss with your doctor as in all medical procedures. What should be expected after Ultherapy? The patients can return to normal daily activities after the procedure. No special conditions are considered. Ultherapy does not cause burn or spot. Although some patients may develop redness, this condition returns to normal after several hours. When can the effect of Utherapy be seen? Healing develops slowly and gradually in skin layers. Excellent outcomes are achieved after the single session therapy through self-repair of the skin. Rejuvenation process immediately begins, a mild lifting effect may be seen even at the beginning. Real effect begins 2-3 months after the procedure through increasing collagen and production of a stronger collagen although some individuals seem satisfied just after the procedure. Complete outcomes are yielded after 6 months. Skin gradually looks better after the procedure, you feel your skin better one week after the procedure, effects begin after one month and become apparent at the end of 3 months. 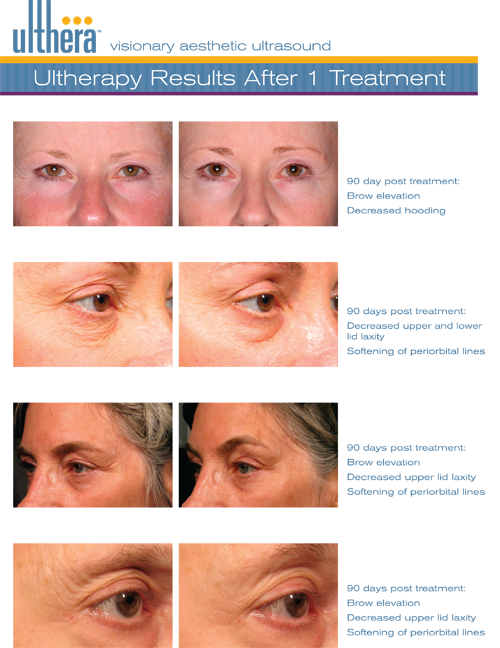 Ultherapy is an effective way to obtain a firm and young appearance without the need of an operation. What is the price for Ultherapy session? Price of the session varies depending on the application site and the estimated number of shoots. You had better see your doctor. Your Internet Viewer does not support. Please update ..